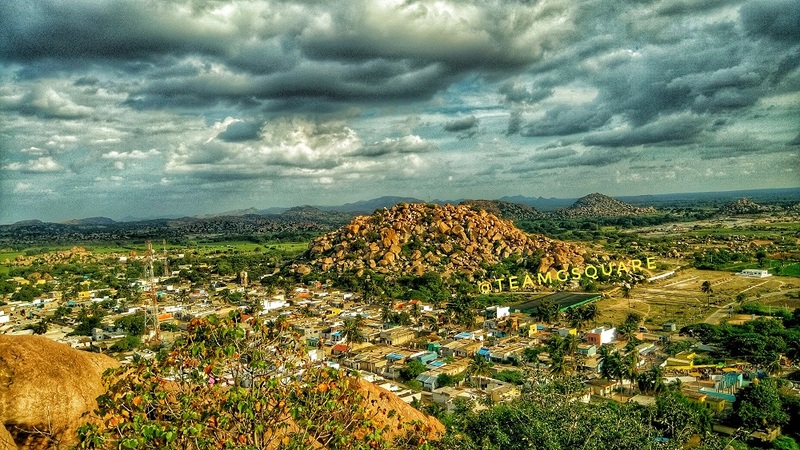 'Gudekote' is a small town situated on the Bellary/Ballari - Kudligi State Highway. As usual, having passed by this place many a time, we had an urge to visit here but never got a chance to do so. Finally during the last year Dasara holidays, we managed to plan a visit to this place. 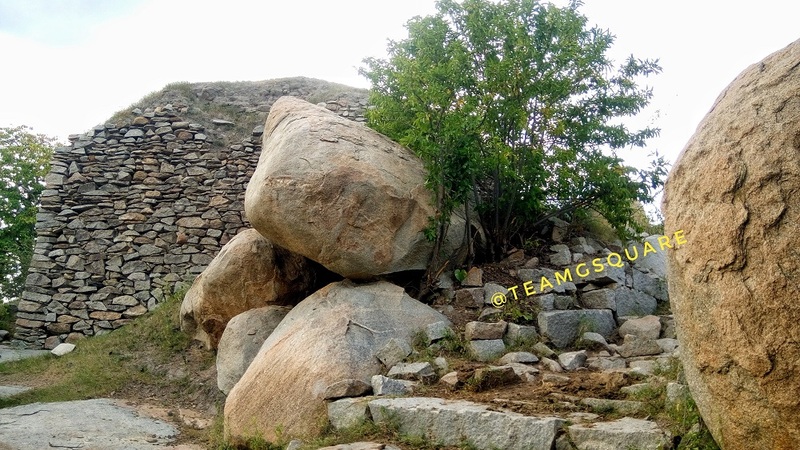 It was quite hectic and we started the day by exploring the Fort at Ramadurga, Shree Ramalingeshwara Cave Temple, Nayakanahatti Temple and the Prehistoric Sites of Kumathi and Hulikunte. We reached Gudekote around 4.15 pm and were contemplating whether or not to climb the hill fort as this place has been declared as a bear sanctuary. 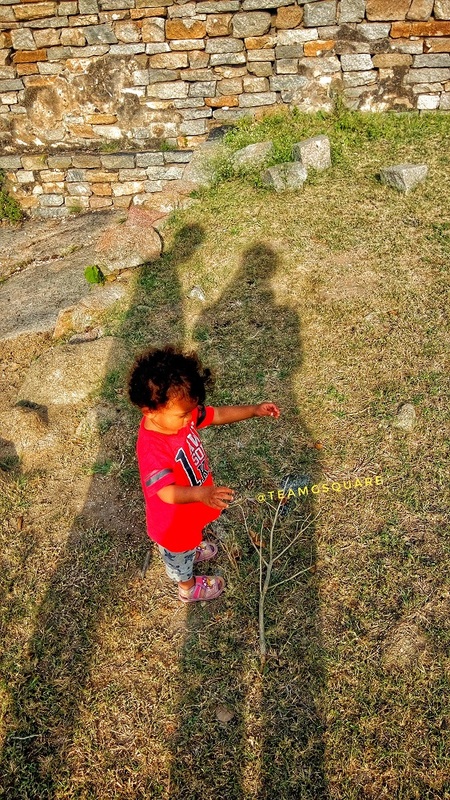 We inquired at a few places and found it safe to climb the hill and decided to give it a shot. We parked our vehicle and walked towards the hill in pursuit of another exciting adventure. History of Gudekote and Fort: Gudekote is derived from two Kannada words, 'Gudi' meaning Temple and 'Kote' meaning Fort. Hence, Gudekote literally means a Temple-Fort. 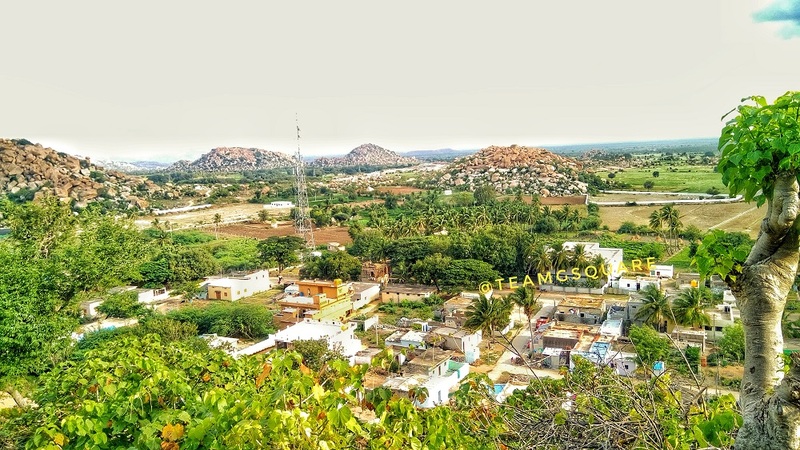 There are 5 hills surrounding the town of Gudekote namely, the Doregala Gudda, Someshwara Gudda, Agasara Gudda, Harijana Keri Gudda and Karadi Gudda. Gudekote was occupied since the Neolithic period, and many prehistoric artifacts have been discovered by researchers here. 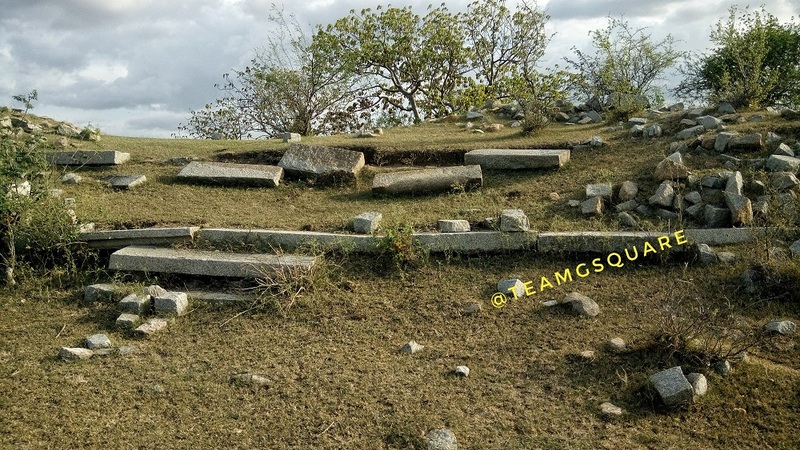 Later this place is said to have been under the rule of the Mauryan dynasty, based on the Ashokan edicts found at Brahmagiri, Ashoka Siddapura and Jatinga Rameshwara. It then came under the rule of the Satavahanas, the Kadambas, Badami Chalukyas, Rashtrakutas, Kalyana Chalukyas, Hoysalas and the Palegars (chieftains) of Hosamaledurga. 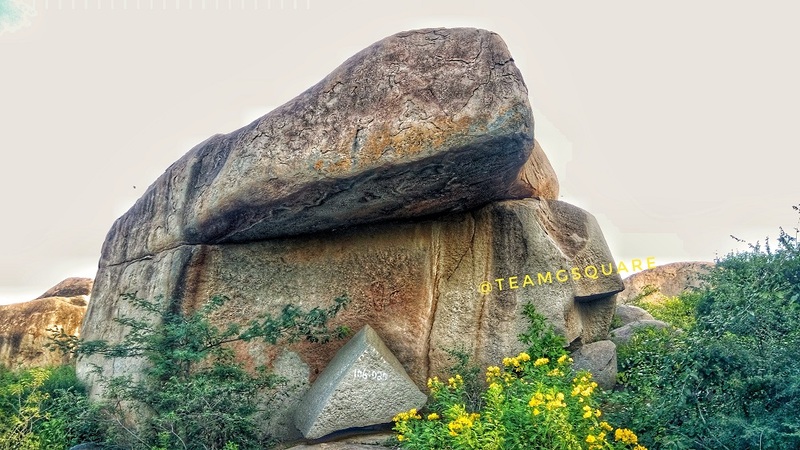 Subsequently, the Gudekote Palegars under the patronage of Vijayanagara Kings ruled this place between 1506 AD and 1757 AD and gave a tough fight to the Bahmani dynasty. King Gundala Nayaka established the Gudekote Palegar Kingdom, followed by Bommatharaja, Chinnayaraja, Immadi Rajjappanayaka, Jatingi Raja, Ramappanayaka, and Shivappa Nayak. The Gudekote Palegars improved the mud fort here by replacing it with a strong stone fort during the 16th century. This place was captured by Hyder Ali and later went fell into the hands of the British with the defeat of Tippu Sultan, who had control over this place till 1947 which later was added to the then state of Mysore. After a short climb, we reached a site that seemed like a prehistoric settlement or rather would have been a perfect place to have one! The cave paintings here only confirmed that this site indeed was a prehistoric settlement. Though most of the cave paintings have been vandalized by modern graffiti, we were able to identify a few, with most of the remains seeming no less than a puzzle! 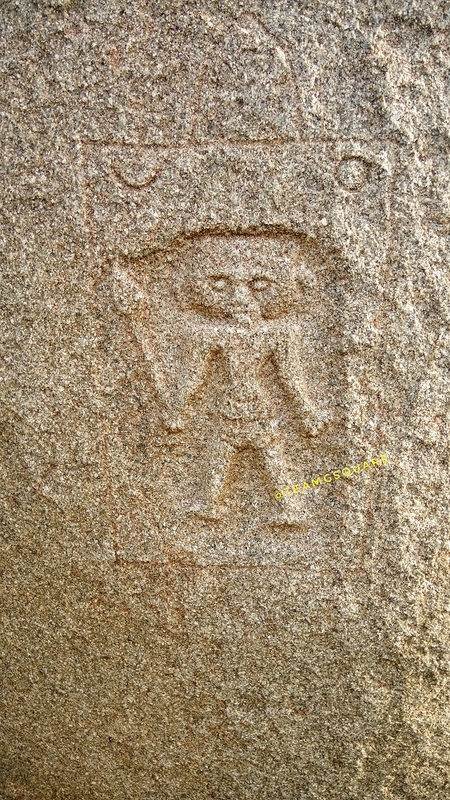 The paintings were similar to the ones at Jatinga Rameshwara and Anegundi, and hence must have belonged to the same period. We spent quite a good time here trying to decipher these paintings, as it always arouses the sense of creativity, imagination and humor in us. Deciphering paintings has always been a fun activity and hence we enjoy it. After a while, we proceeded further. 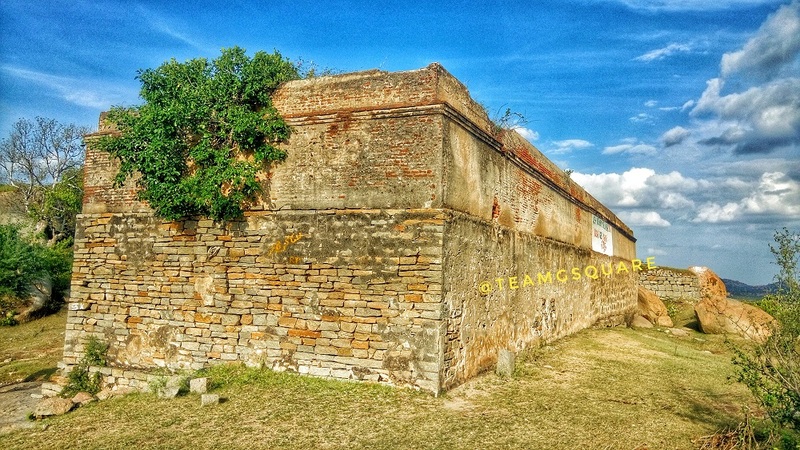 We were greeted by the first tier of the fortification which opens into a flat land, perfect to have a settlement. 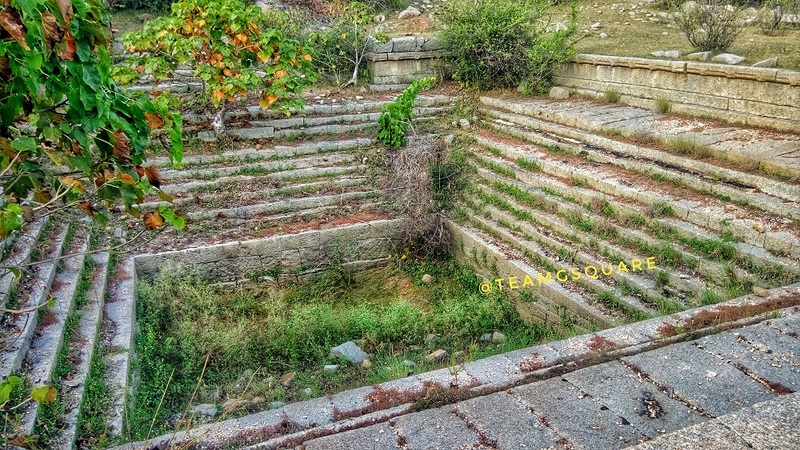 There were remains of a few buildings and also a stepped well. 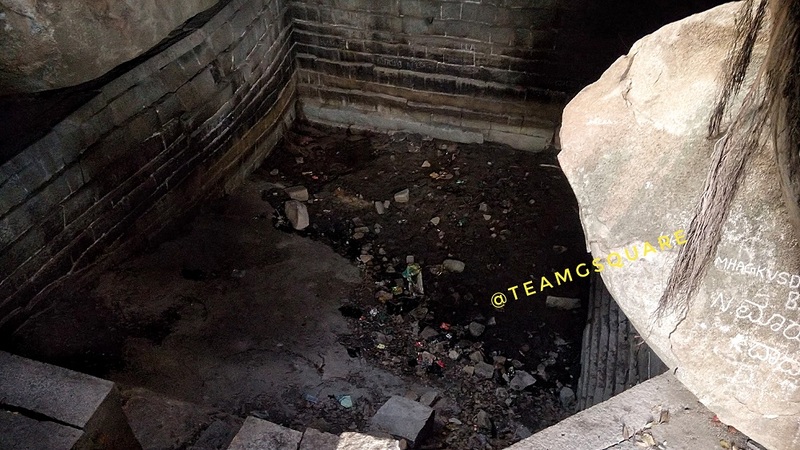 On exploring the area, we found another building structure of a much later stage, probably built by the British. This place seemed like a storage place for food, being devoid of any doors. 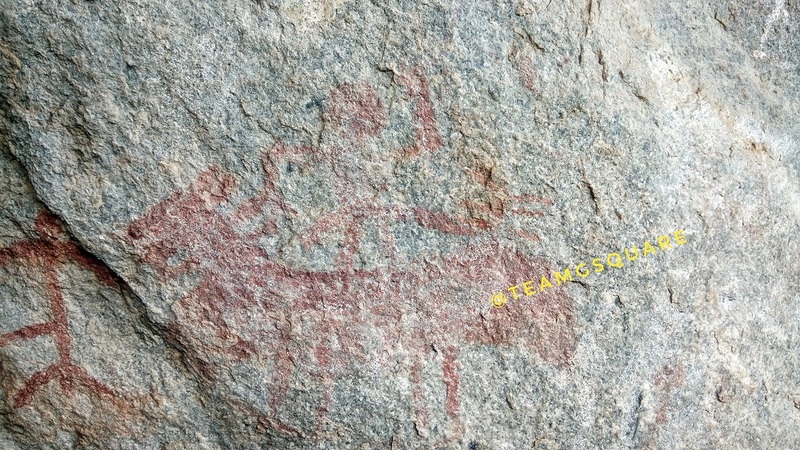 We found a unique carving on a rock further, resembling that of a soldier with a spear in hand, and with very assertive and alert eyes! We continued our climb further only to realize that there was no clear path hereon, except a few ruins spread here and there. We settled here for a few minutes while the sun was setting behind us and after sometime started our descent. We reached the village and went straight to explore the Tangalli Mahal built in Indo-Islamic style by the Palegars and enjoyed the cool breeze there. 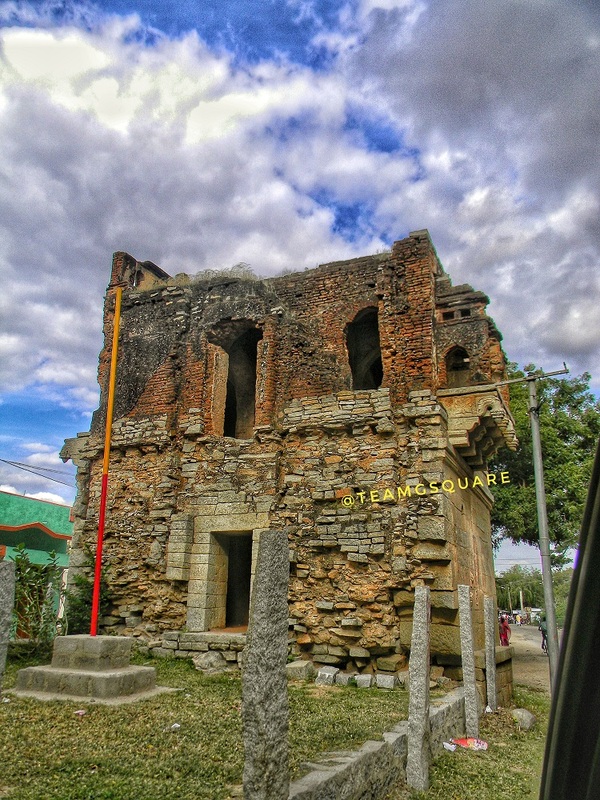 This must have been a grand two storey structure which sadly today is in shambles. 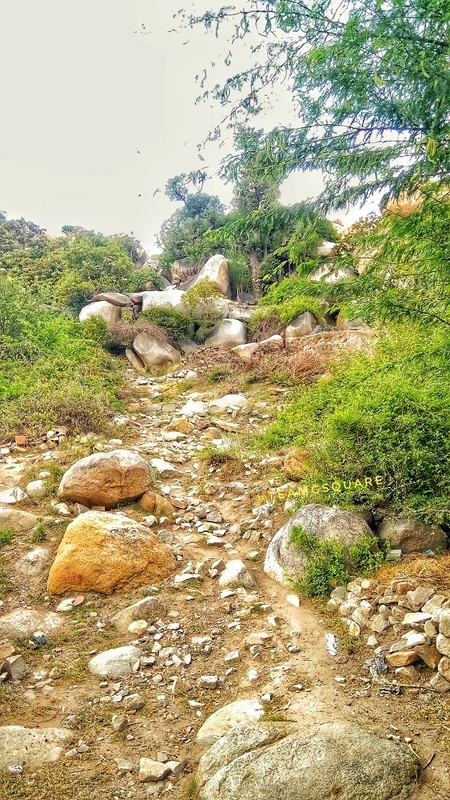 The hills and forests around Gudekote have been declared as a 'Sloth Bear Sanctuary', according to a notification of 2013 and second only such wildlife sanctuary after the Daroji Bear Sanctuary near Hampi of Bellary district. This however, is yet to be opened for visitors and is considered to be larger than Daroji. 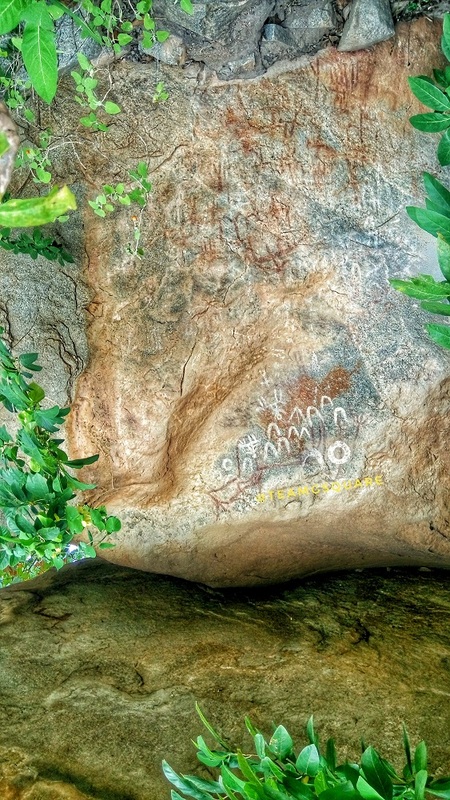 We also remember seeing a few rock paintings on the Gudekote - Bellary road during our other travels. Being very curious each time we saw them, we decided to check out what was in store this time and reached that spot, which falls inside the limits of a Bear Sanctuary. There were a few unique cave paintings under rock-shelters which were quite difficult to decipher. The sunset was an indication to end the day's adventure. It was a great day, one of those where we explored 2 forts, a beautiful cave temple, a popular local pilgrim center and 3 prehistoric sites. 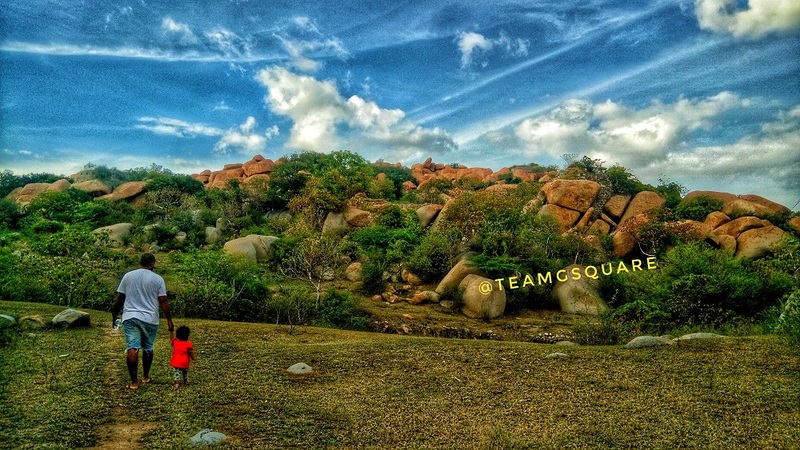 Hereon, we drove towards Bellary for our next adventure. How to reach Gudekote: Located on the Bellary - Kudligi road, it is about 60 km from Bellary and 30 km from Kudligi. Accommodation: There are no options available for accommodation in Gudekote. One can stay at Kudligi which has limited options, however the best would be to find a stay in Bellary overnight. Our usual place of halt is Hotel Ashoka Residency with an affordable budget. 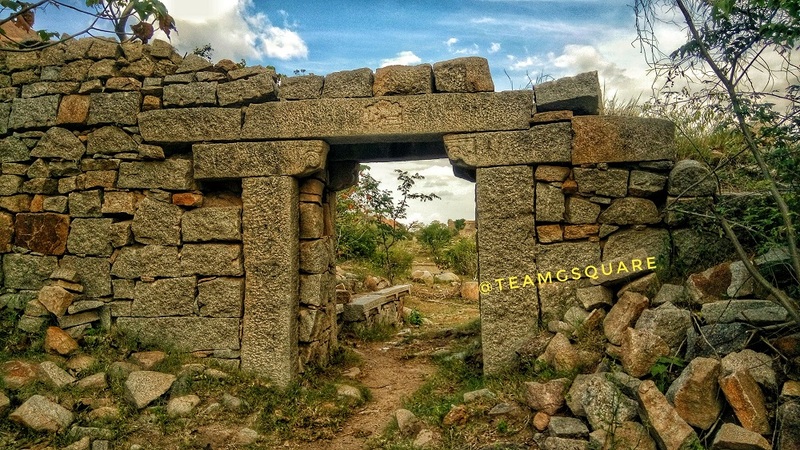 Places to Visit Around Gudekote: Sandur, Kudligi, Kotturu, Ujjaini, Brahmagiri, Ashoka Siddapura, Jatinga Rameshwara, Sanganakallu, Bellary, Hampi, Nayakanahatti, Kumathi, Hulikunte and many such. Very nice!! Yet to explore that part of Karnataka. Fascinating place! Love the land and sky in the pics!